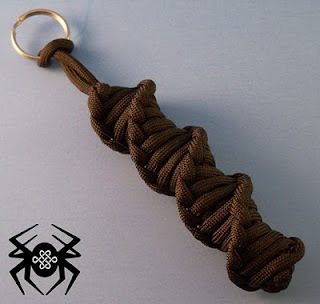 Here's my attempt at a "King Knut" Monkey's Fist by Monkey Knuts. Their ad states that it has an adjustable "crown knot" that allows the twisted cord to be stretched and compressed to relieve stress and anxiety. 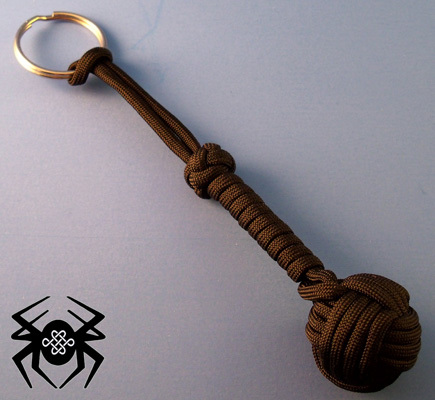 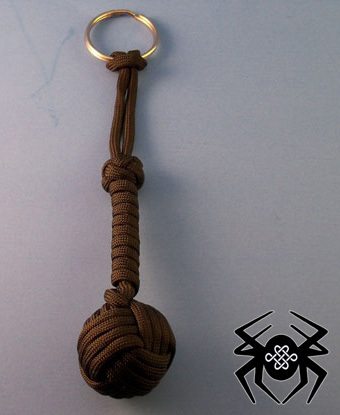 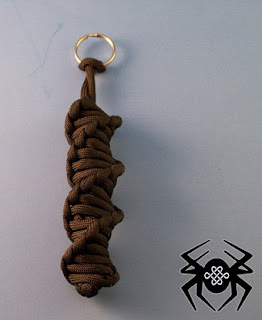 Though with mine I added a "Knife Lanyard Knot", it can still be stretched and rotated all the way up to the loop and back.I also added a Solomon Twist key chain to the mix of acceptable fobs.